New Spanish developer Protocol Games just announced the arrival of Song of Horror on Kickstarter and Steam Greenlight. Presented as the heir of the iconic Alone in the Dark, their game won't be released before November 2016 if all goes according to plan. It leaves the team quite a bit of time to polish the animations and controls which seem to be a bit on the stiff side, much like in Alone in the Dark or the old Resident Evil games. Trailer and gameplay video inside. 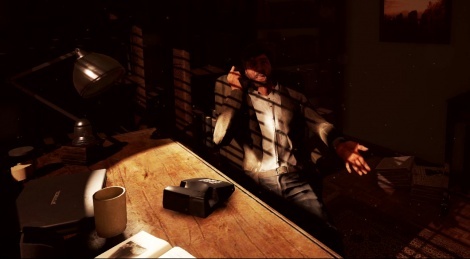 • 16 Playable Characters: Play as Daniel Noyer, the protagonist, but not only as him. 15 other unfortunate souls will share the dark road his life has become. 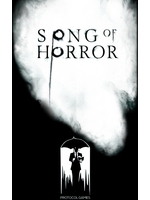 • Automated Cinematic Cameras: True to its old school heritage, Song of Horror's views are fully automated. The cameras will adopt all kinds of perspectives to maintain the tension levels sky-high. • Permanent Death: Barring Daniel, characters in Song of Horror have one single chance. If they fail, they are permanently removed from the story. • The Presence: There are no combats in Song of Horror. Instead, you will be haunted by twisted manifestations of an eldritch, primeval horror known only as "the Presence". In order to survive, you will need to adopt all kind of desperate measures, including (but not limited to) running and hiding. Thx for the video, didn't know anything about this till now so cheers! Animations, controls, mechanics... All looks dated and quite boring. Not too keen on the lack of combat and fifteen characters but this looks promising. I love horror games where atmosphere is the key to the game. I'll keep an eye on this game.